It’s hard to find solid offensive line play in the NFL, so when above-average talent makes it to free agency, teams who need offensive line help will often secure the signatures of proven, starting-caliber players at any cost. 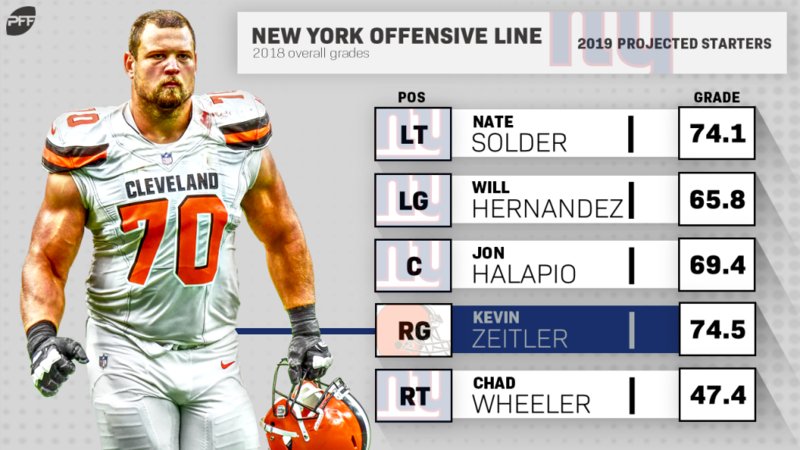 Listed below are five NFL teams we’ve highlighted that improved their offensive lines significantly by adding veteran pieces in free agency. They dealt away Kelechi Osemele but signed Trent Brown to shore up the tackle position. Compared to a season ago, though, the loss of Osemele won’t be incrementally too big of a loss with his 53.7 injury-plagued grade. Brown, on the other hand, represents a massive upgrade from Kolton Miller and his 48.2 overall grade as a rookie. The Bills added a ridiculous four offensive linemen via free agency. Outside of the Mitch Morse deal, it didn’t take them breaking the bank to do so. 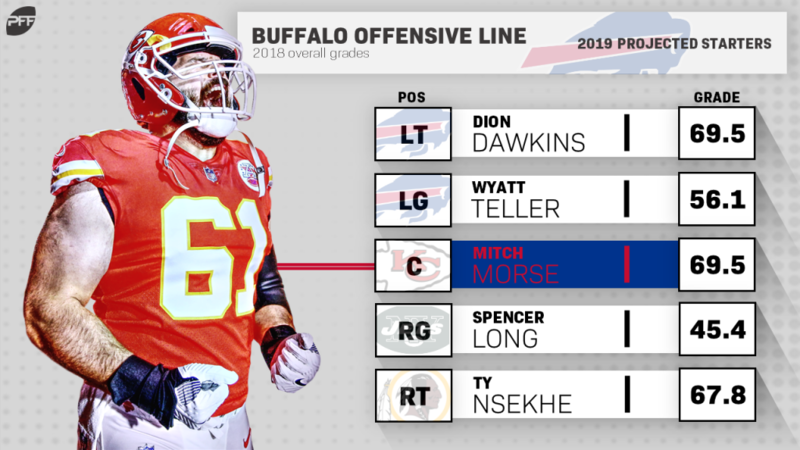 At a combined $27 million per year, the Bills completely revamped their offensive line with the addition of C Mitch Morse, T Ty Nsekhe, G Spencer Long and G Jon Feliciano. While Long and Feliciano are more depth signings, Nsekhe and Morse can be game changers. Morse is one of the best pass-protecting centers in the NFL and earned an 81.2 pass-blocking grade last season, while Nsekhe has excelled as a backup in Washington and was one of our favorite value signings this offseason. The move to cut Matt Kalil itself might have been enough for Carolina to make this list, but when you pair it with signing center Matt Paradis and re-upping right tackle Daryl Williams, Cam Newton can rest easy. Paradis was a top-three-graded center before he went on IR last year and has been consistently one of the best centers in the NFL ever since the Broncos won the Super Bowl. To get him for under $10 million a year was a steal, and he’ll be a significant upgrade from the now retired Ryan Kalil. Williams’ injury woes look a bit more serious, but he was a top-five-graded right tackle his last full season of 2017. The Raiders’ loss was the Jets’ gain. Osemele had an uncharacteristically down season in 2018, but he also struggled with injuries for a majority of the year. A fully healthy Osemele has been one of the best guards in the NFL for the better part of the last half-decade. He had three straight seasons with overall grades of 84.0-plus from 2014-2016.